Develop Your Business Skills with Specialized training in Leadership, Management and Finance. 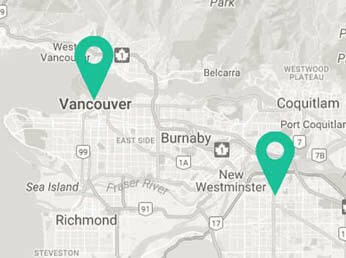 Business programs in Vancouver. 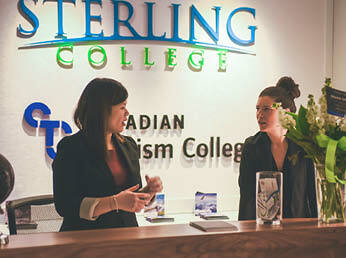 Sterling College offers various business programs in Vancouver. We prepare you for the evolving world of business. 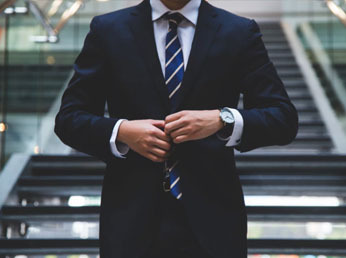 The Business Administration Diploma is designed to provide businesses with qualified candidates who have general and specialized business knowledge and skills that can be applied in a range of operational roles. Graduates will benefit businesses by contributing to the achievement of operational objectives through the application of knowledge and skills in an ethical manner. The Business Administration Diploma is also offered with a Co-op component, offering students the option of completing 960 hours of paid work experience. Graduates of the Sterling College Business Administration Diploma are positioned to enter careers as project administrators, office managers, accounting/bookkeeping assistants, marketing assistants or business owners. The program consists of lectures, discussion, exercises, audio and video presentations, off-site tours, and directed learning; but may also include, seminars, tutorials, and workshops. In quarter one students will focus on the fundamentals of office management and small business operations. They will also explore the use of information technology to meet business requirements and develop their vocabulary, critical thinking skills and presentation skills along the way. 1. Demonstrate an understanding of the role of an administration manager and the related managerial and organization processes. 2. Demonstrate an understanding of the importance of internal and external communication and the impact of communication on the office environment. 3. Demonstrate knowledge of file management systems and information management to effectively plan and organize the work of the office. 4. Demonstrate an understanding of commonly used financial management systems. 1. Be able to describe the characteristics of small business. 2. Be able to compare advantages and disadvantages of business ownership options, business structures and finance options of small business. 3. Be able to identify sources of advice and assistance available for small business. 4. Be able to explain the importance of marketing choices in small business. 5. Be able to describe the factors influencing the control of small business. 1. Calculate summary statistics and present data using computer software and interpret results. 2. Use methods of correlation and regression to analyze and interpret a given data set and make predictions. 3. Use computer software to plot time series, identify their features, then produce and explain forecasts. 4. Demonstrate the correct use of random sampling techniques to select samples and identify potential sources of bias. 5. Describe the Consumer Price Index (CPI), and use index numbers to compare time series, and to remove the effect of price changes from (deflate) financial time series. 6. Apply financial mathematics to lump sums and annuities. 7. Apply probability distributions, estimate population means and proportions, interpret confidence intervals and calculate sample sizes to achieve the required margin of error. 8. Identify types of process variation. 1. Explain and evaluate components of an information system to meet business requirements. 2. Discuss and evaluate communication technologies to meet business requirements. 3. Discuss issues associated with computer use and recommend actions to minimise their impact. 4. Apply software tools and features to produce information for business purposes. 1. Understand and use vocabulary from current business sources and academic disciplines. 2. Retrieve, select and synthesise information in written and graphic form from business information sources. 3. Follow academic conventions and create an original report and an essay through the process of planning, drafting and editing. 4. Demonstrate note-taking skills and use notes from a spoken presentation or lecture on a business topic. 5. Create and deliver an oral presentation on a business topic. In quarter two students will explore the role of economics and how it’s impact on running a business in Canada. They will learn fundamental marketing concepts and how to set, monitor and control marketing objectives. Accounting concepts and policies will be covered and students will learn to analyze and report on financial performance for a sole trader or a small company. 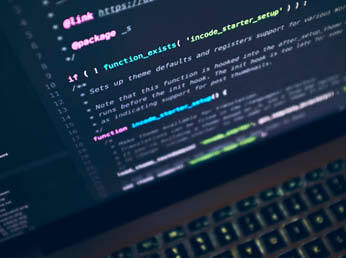 Students will demonstrate proficiency in advanced use of a range of current business software applications and cover business communication principles. 1. Understand the nature of economics and the methodology used to analyze economic problems. 2. Apply the supply and demand model to explain the behaviour of markets. 3. Analyze the firm’s profit maximising behaviour in the different market structures. 4. Understand the role of government in conditions of market failure. 5. Apply macroeconomic concepts and models to understand the aggregate economy. 6. Analyze how government affects the macroeconomy. 7. Understand the effects of international trade and changes in the global economy on Canada. 1. Understand the philosophy of marketing within different organizations. 2. Identify and analyze the environmental factors for marketing decisions. 3. Identify and evaluate information needed for marketing decision making. 4. Understand factors affecting buyer behaviour. 5. Understand and apply the concepts of segmentation, targeting and positioning for marketing decisions. 6. Understand the need to set, monitor and control marketing objectives. 1. Students will discuss the purpose of accounting and its relationship to the Canadian business environment. 3. Students will analyze and report on financial performance for a sole trader or a small company. 4. Students will analyze and apply management accounting tools. 1. Students will demonstrate proficiency in advanced use of a range of current business software applications. 2. Students will customise and integrate business software applications. 3. Students will solve business problems by identifying business requirements and designing and developing a solution using the appropriate software applications. 4. Students will identify, extract, process and format information to produce reports to aid in the decision-making processes of an organization. 1. Students will apply current communication theories in business situations. 2. Students will identify and explain how personal factors and behaviours can influence the communication process in business situations. 3. Students will apply effective interpersonal communication skills in business situations. 4. Students will demonstrate oral presentation and writing skills that are clear, concise, courteous and correct, using currently recognised business formats. 5. Students will analyze the interactions between communication practice and organizational performance. In quarter 3 students will learn topics in management, marketing and accounting at a more advanced level. They will develop their analytical and organizational skills and build a solid knowledge of accounting practices. Students will also begin explore the core elements of the Canadian legal system and how they relate to business. 1. Students will describe management and the purpose of organizations. 2. Students will understand the development of management philosophies and their influence on current management practices. 3. Students will use analytical tools to evaluate the impact that internal and external environments have on organizations. 4. Students will understand the influence of ethics and social responsibility on decision making. 5. Students will understand the purpose of planning and control and apply processes to a given situation. 6. Students will evaluate two types of organizational structures and recommend a structure for a given situation. 7. Students will understand and apply ways to lead and motivate individuals and teams. 8. Students will discuss two frameworks of change management in the context of a contemporary issue in an organization. 1. Students will evaluate legal, ethical, cultural and industry issues relevant to a marketing research project(s). 2. Students will prepare a marketing research proposal. 3. Students will conduct research; collate, analyze and interpret data; report the results of marketing research; and make recommendations for marketing strategies. 1. Students will manually process transactions from source documents to trial balance for a sole trader. 2. Students will process transactions, using commercial accounting software, to prepare financial statements for a small company registered for GST and PST. 3. Students will demonstrate knowledge of internal controls. 4. Students will process balance day adjustments and prepare financial statements. 5. Students will compare the key differences in the financial statements for entities and prepare financial statements. 6. Students will prepare, using spreadsheet software, a cash budget incorporating GST, PST, and HST. 1. Students will explain core elements of the Canadian legal system. 2. Students will apply the basic principles of the Tort of Negligence to a given situation. 3. Students will apply the basic principles of the law of contract to given situation(s). 4. Students will explain the basic principles of property law and apply relevant provisions of the Sale of Goods Act to given situations. 5. Students will apply basic principles of consumer law to given situations. 6. Students will demonstrate an awareness of an aspect of a legal topic affecting business in a given situation. 1. Students will evaluate the interrelationship between human resource management, organizations and their environment for a given situation. 2. Students will develop job documentation for organizational and employment purposes in a given situation. 3. Students will evaluate and select recruitment and selection options for a given situation. 4. Students will understand the role of performance management and its contribution to organizational effectiveness and retention of employees. 5. Students will apply principles of workplace learning to develop a training program to meet individual and organizational needs to a given situation. 6. Students will understand how to develop equitable reward structures from a given set of data and develop a base pay structure. 7. Students will apply an understanding of current legislative requirements for health and safety in the workplace to a given situation. In quarter 4 students will learn how to build leadership skills and and explore business finance. They will be introduced to strategic planning for small businesses and delve further into topics in marketing and management. 1. Students will analyze, a range of perspectives on leadership relevant to different management levels within organizational and situational contexts. 2. Students will evaluate approaches to leadership relevant within diverse cultural contexts. 3. Students will discuss the influence of a range of factors on leadership. 4. Students will apply leadership knowledge and skills to the management of change. 1. Students will examine the buyer decision making process, and its implications for marketing strategies for target markets. 2. Students will select and justify target market(s) and apply a positioning strategy to chosen market(s). 3. Students will develop and evaluate communication options and recommend and justify communication strategies to achieve the desired market position. 1. Students will examine the role of business finance in small and medium entities, and the Canadian business finance environment. 2. Students will apply capital budgeting techniques and evaluate investment decisions. 3. Students will apply working capital techniques to manage the finances of a business. 4. Students will compare and contrast financing options and make recommendations for given business situations. 5. Students will examine capital structure and cost of capital and calculate the cost of capital. 6. Students will assess the inter-relationship of financial management issues for a given business situation and provide recommendations. 1. Students will determine the values, beliefs and vision of the owner(s) of an existing or intended small business. 2. Students will analyze the current position of the existing or intended small business. 3. Students will determine objectives, and suitable strategy(ies) to achieve them for the existing or intended small business. 4. Students will determine the strategic plan for the existing or intended small business. 5. Students will document a strategic plan and associated implementation plan for the small business using a suitable format. 1. Students will analyze the nature of contemporary operations management and the role of the operations manager. 2. Students will explain quality management and apply quality management techniques to improve operations in a given situation. 3. Students will select appropriate facilities and processes to ensure efficient provision of goods and/or services. 4. Students will discuss performance management and determine appropriate operational performance measures and controls. 5. Students will understand capacity management, apply techniques relating to resource planning, and recommend appropriate actions in a given situation. 6. Students will apply an understanding of supply chain management, inventory management and materials management to given situations. If English is not your first language, students will be required to have the pre-requisites to qualify for enrollment into this program. Please see our International Students page for more details. For domestic students, Canadian citizenship or landed immigrant status is required. International students are required to possess a valid study visa, for programs longer than 6 months and prior to the program start date. International students are also required to have sufficient accident and medical insurance coverage to cover any injuries or illnesses that may occur during the educational term. Take the First Step! Request More Information Today.